Throughout nearly 43 years of marriage, cars have come and gone in our lives more often than I can count … ’55 Chevys, ’66 Mustangs (Shelbys, hypros & the occasional plain Jane) and the odd ’32 Ford. However, our 1st car was a new ’71 Shantung Yellow Super Beetle purchased just weeks before our wedding and kept secret from that group of friends who felt the need to advertise to the world that we were “Just Married”. In 1991, we revisited the land of VW with the purchase of a ’68 Yukon Yellow convertible … just perfect as a perky little second car to haul around our growing family. Like the ’71 sedan, “Wally” (so named because his previous two owners had shared the same first name) moved on to a new home a few years later. This past summer, we decided that a ’67 convertible (the year Gary graduated from high school) was just the vehicle needed for fair-weather trips to the local DQ for ice cream with the grandkids … now numbering five. After months of searching, we stumbled upon what looked to be a likely candidate on eBay…numbers-matching, recently refreshed and at a fair price – good bones with just enough TLC required for the grandkids to enjoy helping out and, most importantly, it was Yukon Yellow! After several conversations with the seller and careful estimates on what we would have to put into the vehicle, we placed the successful bid. The car was shipped to Washington State from New York Both of our daughters said, “Oh, a Wally, too,” when they first saw it. The name stuck! Engine out and covered in rust, we can only imagine that they must have thought it was basically a sound project car. So in 2004-2005, the class tore it apart, stripped it down and refurbished the poor old thing. were procured. The original convertible top was reinstalled. Now remember, these were “body” students – the original engine was sent out to be rebuilt. In the process, some of the one-year-only parts were discarded. Since Wally2 has joined our family, we’ve had a local vintage VW shop to go through the engine, replacing the missing OYO oil bath cleaner, hoses and other tidbits, drive train, brakes, clutch and other moving parts. They unclogged the heater channels, which were packed solid with mouse droppings and other treats, reconnected the interior lights, replaced the carpet with a Wolfsburgwest German square weave kit, and they rebuilt and recovered the seats. They had to replace the driver’s seat because the seat-back release was on the wrong side on that seat! We’ve verified that Wally2 was repainted the original L-19K color, and has the original H code Engine. It was built 22 June, 1967, in *Osnabrück, just miles from where Gary’s father was born. Wally2 came with white-wall tires, leatherette interior, dual-circuit drum brakes, and M-code 002/M-code 354 US equipment packages. Slowly but surely we’re bringing him back from the abyss–we’re learning more each day from great people like Eric Shoemaker and Jay Salser. Not everything is stock; we’ve made some minor cosmetic and safety alterations that easily can be reversed should we ever wish to do that. We have other things to do before heading out on the road this summer, such as reinstalling the window trim, adding the proper decals (yes, from 1967Beetle.com) and installing correct door seals. Long term plans include bumper work, repainting the wheels (we’re looking for NOS beauty rings), adding white-walls and other small touches. But right now … we’re just looking forward to making some memories during the upcoming summer of fun. Editor’s note: Osnabrück is a city in Lower Saxony, Germany, 68 miles NNE of Dortmund, 31 miles NE of Münster, and 81 miles due west of Hanover. It lies in a valley penned between the Wiehen Hills and the northern tip of the Teutoburg Forest. Historically, Osnabrück belongs to the region of Westphalia. You will recall that Type 2 VW Campers are called “Westphalias”. Here, Convertible Beetles received special treatment which was not available at the Wolfsburg Factory. 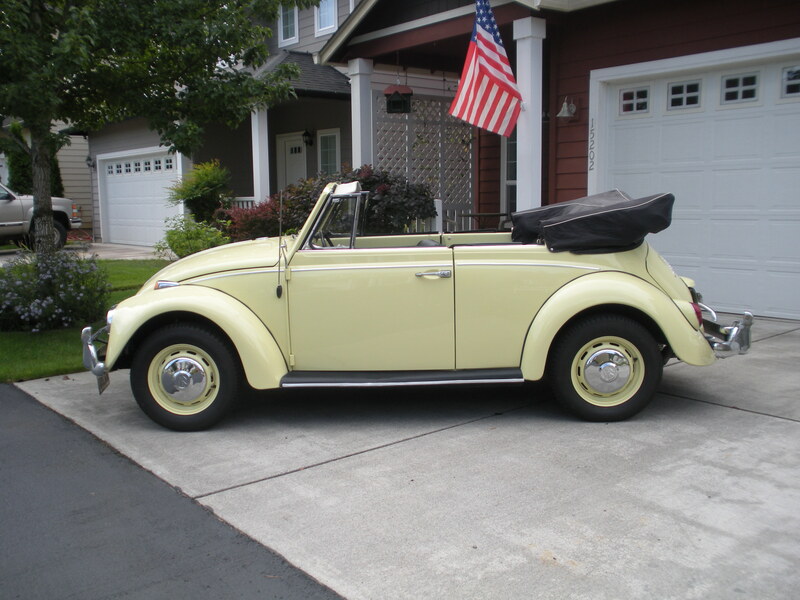 Thanks, Donna, for sharing your ’67 with 1967beetle.com. Another great story that demonstrates the love for, and the tremendous committment for restoration, people who are passionate about this great little car will go! 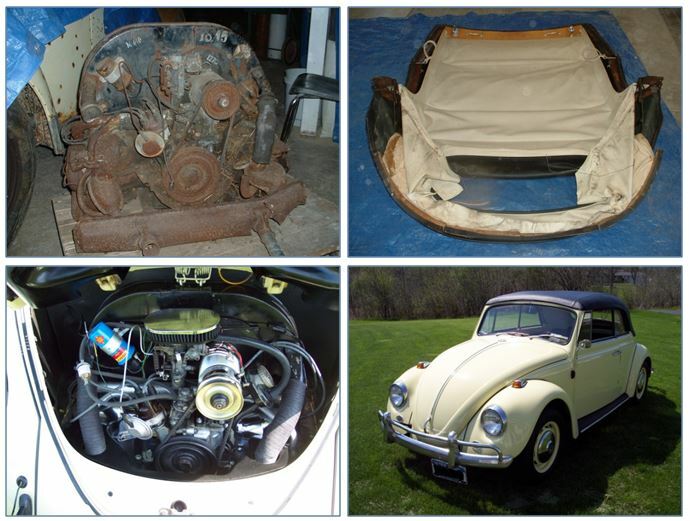 Glad Gary and Donna found 1967Beetle.com! 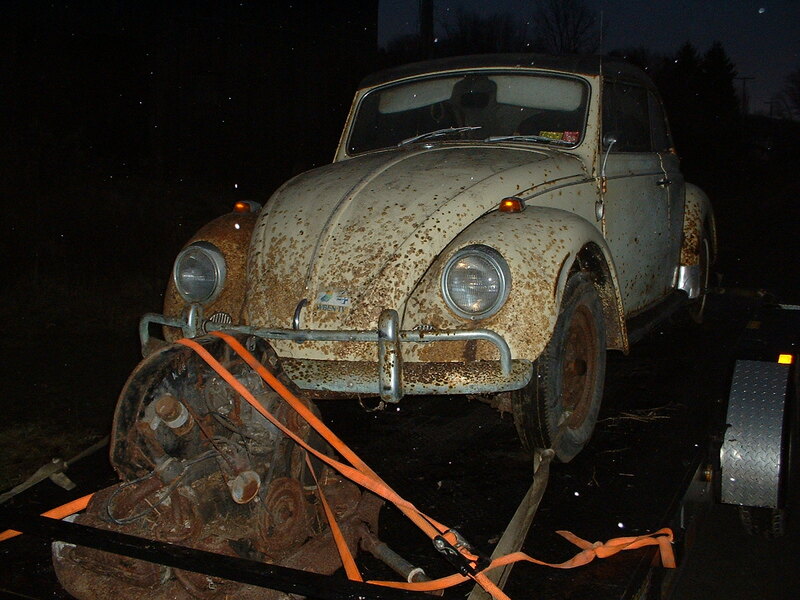 I know I have been grateful for 1967beetle.com and Eric’s and Jay’s willingness to share their knowledge with those of us stumbling around in the restoration maze! Have fun this Summer with Wally2, Fischer Family! Thanks for the comment. It’s a great story. Did you get the email notification about this one? We were doing some back end updates yesterday, and I’m not sure if it went out. I did after I placed my comment! I was cruising the site looking at forums when I saw the Feature! Thanks! Yeah, we were doing some server tinkering. Our ’67 1500 CC server is back up and running now. And THANK YOU Eric; none of these would be possible without your (unseen) day to day efforts. Thanks! Yes, I’m the guy behind the computer screen. Late at night, etc. I do it because I love the community Ive created, not because I have to. WOW – what a difference from the pic on the trailer. Calm your heart, Marius. The vintage VW mechanic was actually in Portland; we’re having to go off island for specialties like that. We’re going to catch some of the VW events in the Northern WA area this summer … maybe we’ll see you at one.